The German startup ecosystem is growing and becoming more mature. Capnamic Ventures is known as one of the leading early stage tech venture capital firms located in Berlin and Cologne. We strongly believe that the real power of a VC comes from its network, experience, credibility, commitment and the combined passion of all active investment professionals. That’s why we constantly strive to develop and grow our team to bring high quality support to our portfolio companies and deliver excellent returns to our investors. Our focus is investing in young technology companies in markets and industries that are characterized by technological innovation and high growth — in other words, we look for disruption driven by digital transformation. 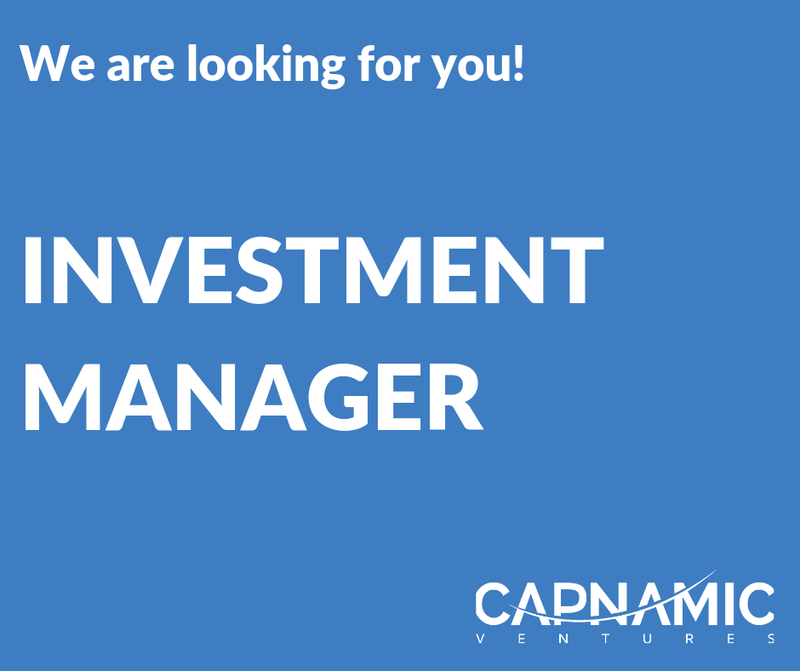 Join our team at Capnamic Ventures and immerse yourself in the exciting ecosystem of venture capital. Evaluate market opportunities, meet promising teams and support the due diligence process from screening to closing and work closely with our portfolio companies in building successful businesses. Become a core member of our small and agile team and work with us to further develop an experienced venture capital firm. We are hiring an Investment Manager. In our office in Cologne and/or Berlin, you will be responsible for screening and analyzing deal flow opportunities. The position will allow you to assume responsibility in due diligence processes and individual venture investments. This position will involve extensive commercial and technological due diligence, modelling business cases and preparing investment memorandums and presentations. At Capnamic Ventures, we basically do two things: We strive to invest in the best entrepreneurs and then do everything to help our portfolio companies succeed. We are a small, passionate team — our culture and spirit are our strongest values. Thus, it is very important to us that new team members share our dedication for technology as much as the potential of digital transformation but can also subscribe to our values with regard to team spirit and cooperation. You should also be prepared to firmly defend well-reflected arguments on potential investments, but also remain open minded in light of opposing arguments and different positions. Honesty and respect are core drivers for our successful work. Perhaps most importantly, the successful candidate is a “digital native” and tech savvy individual. Do you have the skills to do the job, share the enthusiasm for our vision and fit our culture? We are looking forward to hearing from you! If you have any further questions, please contact us via jobs@capnamic.com.